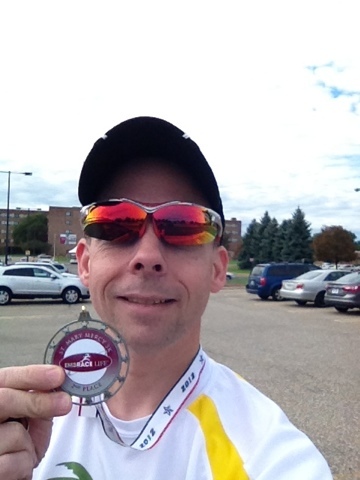 Good race at the St. Mary's Mercy 5k. Won 2nd in my AG with 22:41. Full race report to follow. Age group awards are the bomb. They take years off your life, so win enough, and you'll stay in the same age bracket forever. Awesome!! Congrats on your race!!! I always say: you can't win without entering, so get to the start line and pick up the prises. Well done, I hope you tell us how far of 1st you were? Coach - I will put it on my review - 1st was over 2 minutes faster in my age group. Usually, I'm like 7-8 minutes behind.